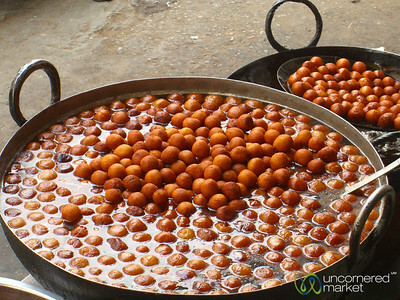 Everything Indian food, including north Indian cuisine, south Indian cuisine and Bombay snack and chaat foods from across India. 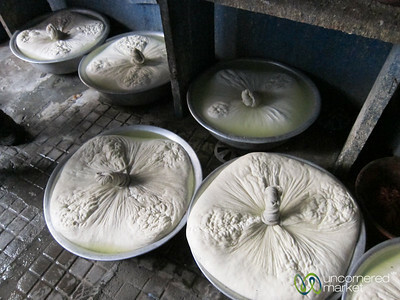 Paneer (Indian curd cheese) being made in a small shop in Leh's old town. Ladakh, India. 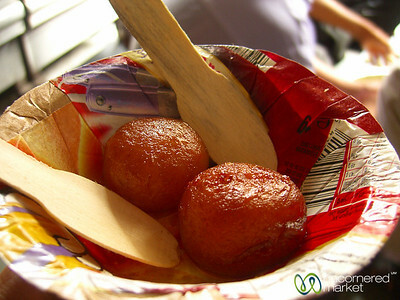 Mumbai snack food at its best. Savoury, sweet, crunchy and everything in between. 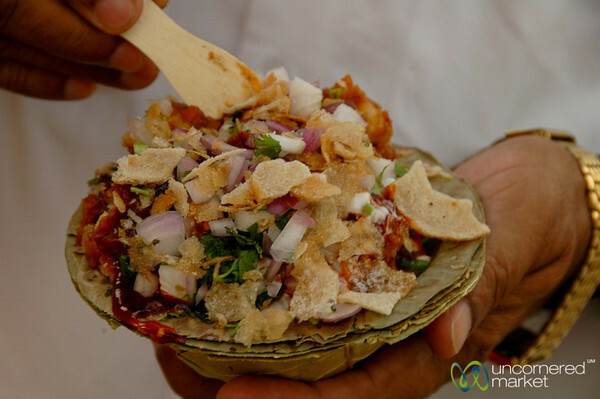 That's dahi batata puri. Khar Station, Mumbai. 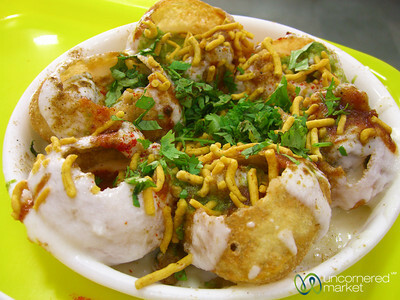 Dahi puchka is crispy puri filled with a potato mixture and then topped with a tangy yogurt and sweet tamarind sauce. The perfect combination of sweet and salty. 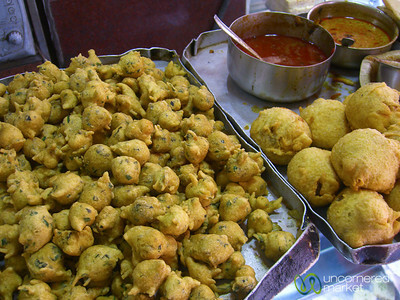 Eaten in Kolkata, India. 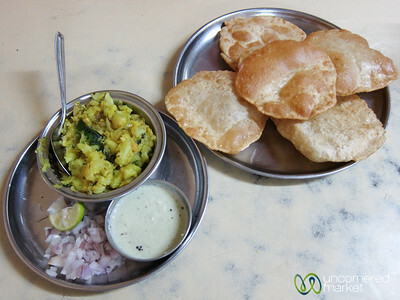 Puri (fried, puffed bread) with bhaji (potatoes, spices and onions) as a Mumbai snack at Aradhana Restaurant at Khar Station in Mumbai, India. 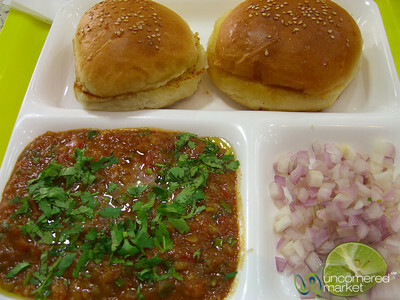 Although pav bhaji (a stewed vegetable mixture served on top of a buttered bun) is more typical of Mumbai than Kolkata, we found an Indian snack place that served specialities from all over the country. 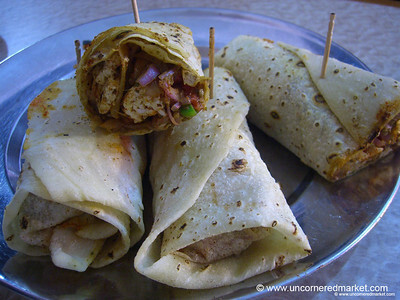 An afternoon snack of pan puri crushed together with onions, aloo rotti (potatoes), fresh herbs and several sauces. Taken near Assi Ghat in Varanasi, India. 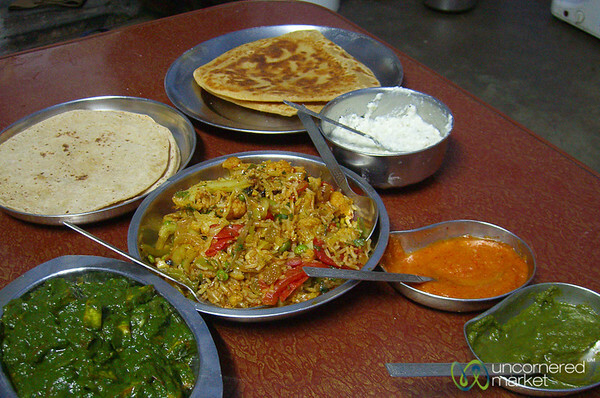 Delicious southern Indian and chaat food at a restaurant in Kathmandu, Nepal. 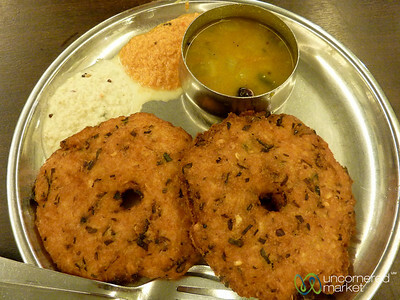 A pair of vada (vadai) lightly fried and chock full of various spices and herbs served aside a bowl of sambar and wet chutneys. 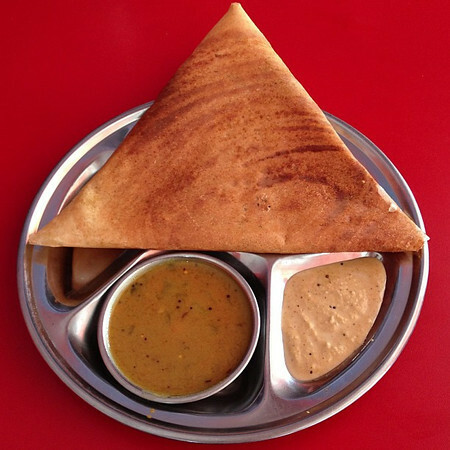 A delicious meal and snack at a restaurant in Little India (Lembuh Ampang) in Kuala Lumpur, Malaysia. 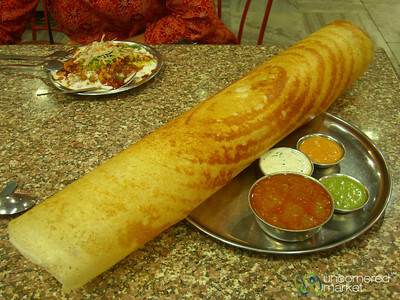 A little taste of India in Durban, South Africa. 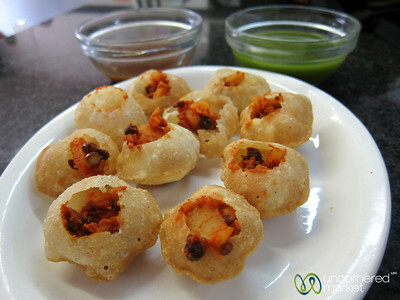 Pani Puri at Little Gujarat Restaurant. 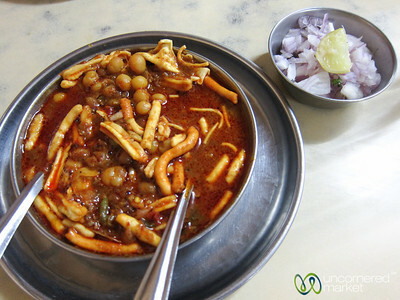 Misal is a local Maharashtrian dish that is made from moth beans, crunchy snacks, spicy gravy with a garnish of chopped red onions. 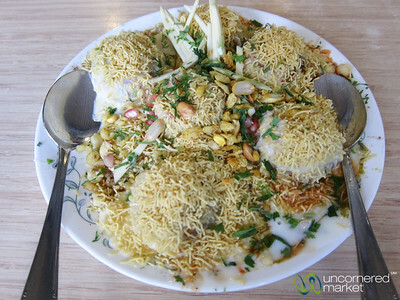 Eaten at Aradhana Restaurant at Khar Station in Mumbai, India. 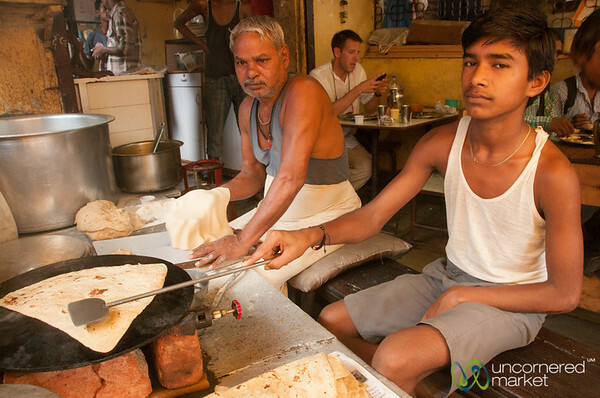 Making parathas for breakfast at a streetfood stand near Khar Station, Mumbai. 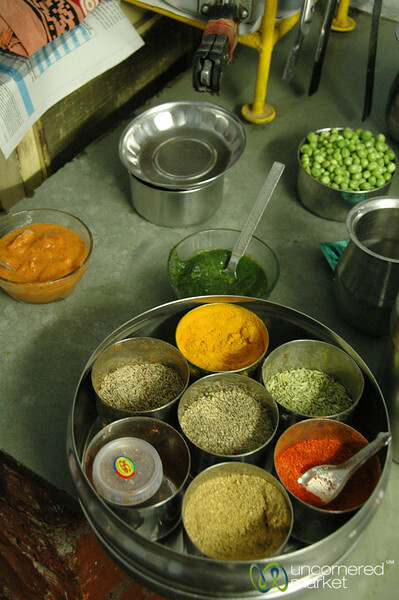 Hit Indian spice motherlode in #berlin today. 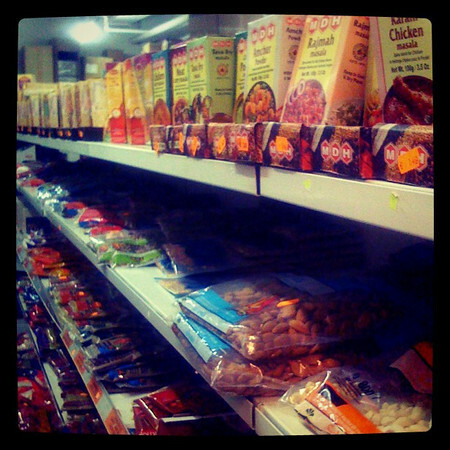 Sona Foods in Kreuzberg. Awesome.